USA almost beat mighty Ronaldo and his star-studded Portugal at the World Cup. You wouldn't know it based on the performance of America's soccer league in summer friendlies versus the best teams from Europe. The results are atrocious. Seven goals by Manchester United, zero by the "flagship" LA Galaxy. Toronto is unable to defeat Tottenham, and Dallas loses to Aston Villa. The one lone bright sport was a tie for Columbus versus Crystal Palaca. Sure, Omar Gonzalez wasn't playing and the Galaxy are deep in mid season and struggling to stay in the playoff zone, so players' focus is elsewhere. But it doesn't excuse such a lopsided loss. Or does it? MLS is still lacking that extra push: winning internationally in the modern, post-Beckham, designated player era. RSL was close in 2011. Close. That's all. After that it has been all Mexico over and over again. Is it the league schedule? Clearly that won't change. Is it competition and player development? Maybe. Let's not be too hasty in pointing fingers before the international friendlies are all done. Maybe the MLS All-Stars can pull it off or maybe they'll go down in flames like so many other All-Stars teams. There is still a gap in talent at the most basic formative level, Klinsmann made that clear. What is also clear is that US Soccer and MLS are both trying to address that with home-grown players, the reserve league and even interesting moves like the Galaxy II. But we deserve a league that is not pushed over all the time on the international stage. 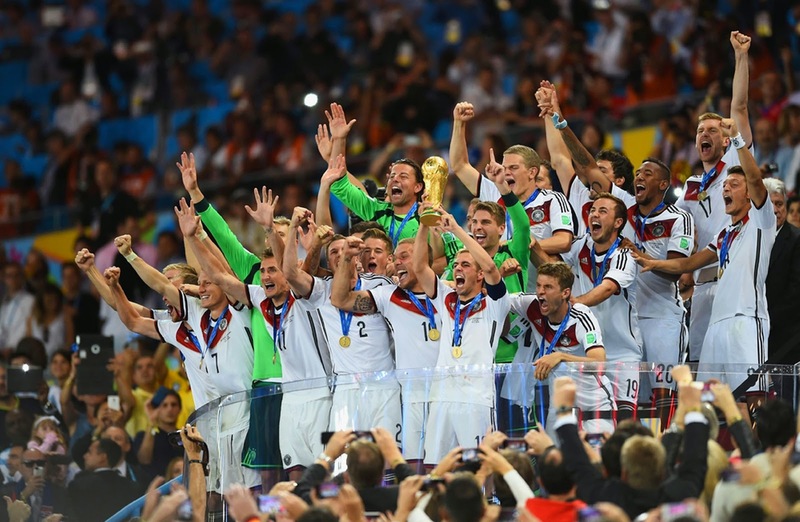 Germany won the World Cup today with a score line that did justice to the teams and the tournament they played. Germany was dominant throughout Brazil 2014, including the most humiliating defeat of a football Titan ever recorded. Seven goals against Brazil, the host nation. Argentina were uncharacteristically defensive but had brilliant moments through Lionel Messi. Argentina put up a fight and, at times, controlled the game and could have won the Cup if the ball had rolled the right direction. Messi was masterful when he was unmarked, a shadow of himself when three defenders were upon him. But he still got them to the final, and for that he deserved the Golden Ball. Mario Gotze scored and saved us from the randomness and cruelty of penalty kicks. It was the one play where Argentina's defenders were out of position, and the German machine pounced and delivered. We say goodbye to the best World Cup in generations. We salute the dreamers in Costa Rica, Algeria, Colombia. We will remember the fighters in Chile, Mexico, USA, Greece. We wish redemption for the fallen in Spain, Italy, England, Brazil, Portugal and Ghana. We loved so many moments in this World Cup. From Robin Van Persie's amazing header, to the wonders of James Rodriguez, to the record-breaking number of saves by Tim Howard. There were more goals in the group stage than any other tournament since the number of competing teams went from 24 to 32. There was penalty kick drama, again, and favorites went home and tears flowed in excitement and despair. There was a bite to the game, pun intended. From Luis Suarez's indiscretions to Arjen Robben's simulation versus Mexico. There were injuries too, like Altidore's early in the first game against Ghana and Neymar's unfortunate departure in the quarterfinal versus Colombia. We cheered today perhaps for the game alone, perhaps for our favorite team. We forgot a nation's transgressions of the past, fallacies of the present, uncertainties of their future. But, for two and a half hours today, one billion people sat together in their homes, stood clapping at their watch parties, put down their weapons of war, and enjoyed the beautiful game. The World Cup is a time machine. Brazil 2014 is now a World Cup of memories that will forever latch onto our psyche. Be it Brazil's fall from grace or Julian Green's goal. But it also gives us glimpses of the future through the magic of James, the speed of Yedlin, the wonders of Neymar and the vision of Gotze. Today is also the start of Russia 2018. When each of our teams went home, be it at the end of qualifying or the moment of elimination, plans were set in motion for the next cycle. The World Cup is the engine of the sport that drives the passions of billions. Wednesday's semifinal game was a only the fifth time that penalty kicks were used to determine a World Cup finalist. Argentina won via Romero and set up a classic finish. For some of us this is a dream final. Argentina versus Germany. Opposing styles, management, flavor. Let me tell you a story now. Two stories, really. In the summer of 1986 I was only a small boy and soccer was something for grownups to watch and something to do during recess. Ecuador, my home at the time, had yet to qualify for its first World Cup and the US Men's National Team was only a memory of 1950. I was enrolled in a German school for my elementary and the thought of cheering for West Germany was just . . . normal. So when I heard that they would be in the final I found myself to be the only one in the room cheering for the Germans. Everyone else was siding with Argentina and someone named Maradona. The Argentinians jumped ahead by 2-0 before the Germans came back to tie the game 2-2. I still remember the name Karl Heinz Rummenigge being uttered over and over again. It wasn't until late in the second half that Argentina scored the winner, with Schumacher looking defeated on the ground as Jorge Burruchaga put the ball in the back of the net. Argentina won Mexico 86, but the final would repeat itself in 1990. I was older in 1990 and I understood the game better. I remember us kids making a joke about siding with Cameroon for the opening game versus Argentina. "Cameroon will win," we said, knowing that, football-wise, this couldn't possibly happen. It did. Oman-Biyik put a header past Pumpido and shocked the world. The Berlin wall had fallen at that point but the team that competed was West Germany. Its federation continued to represent the whole of the country thereafter. The Germans dominated, albeit unconvincingly, the opposition throughout the tournament, save for a tie versus Colombia in the final group stage game. They arrived at the semifinal to play a determined English side that had just knocked out World Cup darlings Cameroon. Italia 1990 was special in the semis because both games went to penalties. Argentina defeated the host nation thanks to Sergio Goycochea and Germany won its game. This was the Germany of Brehme, Voeller, Hassler, Matthaus and Klinsmann. A talented squad. This time the uniforms the teams wore were the reverse from 1986, when Argentina wore its albiceleste and Germany was dressed in green. In 1990 Germany wore its home white and Argentina its away dark blue. The game remained tied until the 86th minute, when the referee awarded a penalty to Rudi Voeller. Andreas Brehme put it away and Germany were champions for the third time. I was happy, of course, given my school allegiance. We joined the parade of cars down the main avenue displaying my gym shirt with the German school insignia. Pride. Things are different now. 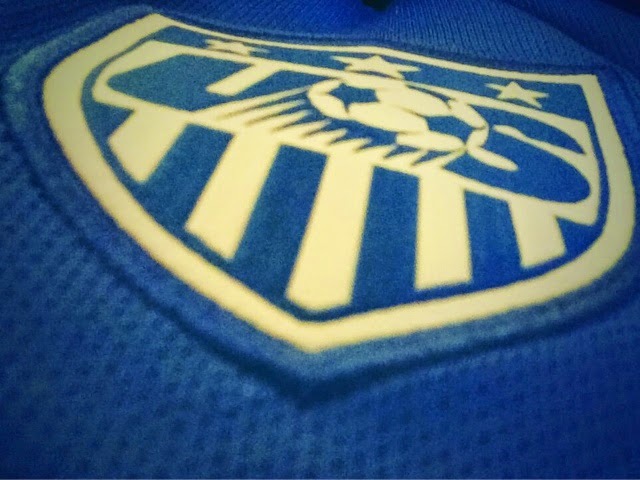 I concentrate on the US national team and its meteoric rise to the world stage since 1990. True, they are no superpower, but they have become a fixture at the World Cup and American players have slowly infiltrated major leagues worldwide. Major League Soccer has also grown both on and off the field. And now that my teams (I include Ecuador here) are out of the World Cup and only the finalists remain, I am left with a bit of a quandary: do I cheer for Argentina or Germany? Messi, Higuain, Aguero and Macherano or Muller, Hummels, Khedira and Lahm? I will not cheer for either team. I just want to see a good game. I feel Germany should be rewarded for being the best team in the tournament but Argentina has also won every single game until the semifinal's tie against Holland. Then there's the Messi factor. The guy is a genius and he has a chance to catch up to Maradona if he wins the World Cup. He's 27 and Maradona was 26 in 1986. May the best team win in this dream final. A dream was broken today by seven German goals. Brazil will not win a World Cup at home. They lacked hope, passion, and desire. The tears of the fans were heartbreaking to watch. This was their tournament, and they would not see it go their way. Another Brazilian dream was lost sixty-four years ago. Brazil was in a World Cup final in front of a home crowd at the newly-built Maracaná stadium in Rio de Janeiro. They needed only a draw in their final game to win the Cup. But Uruguay scored twice and won in the famous Maracanazo. That day still haunted Luiz Felipe Scolari and his team today. It was a ghost of the past that remained unshakable to brazilians, both those that remember it and those who have heard the legends. Brazil went to face Germany without their talismanic player, Neymar. They were also without Thiago Silva, their main defender and team captain, due to yellow card suspension. "They will still win," said o fenomeno, Ronaldo. But they didn't. And it wasn't a galant affair. It wasn't a 1-0 or 2-0, not even a 4-1, the score Brazil handed Italy in the 1970. The final score was 7-1. The defense was shredded apart. 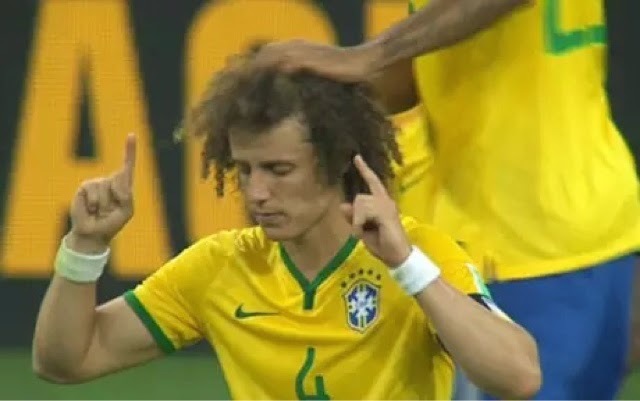 David Luiz simply watched goal after goal go past Julio Cesar. Dante was hopeless. Maicon was nowhere. Marcelo looked distraught in disbelief. The crowds were silent. There would be no comeback. No miracle. A storm over Rio de Janeiro blackened the ESPN studios in Copacabana and, likely, many places where brazilians huddled together to watch their beloved team. 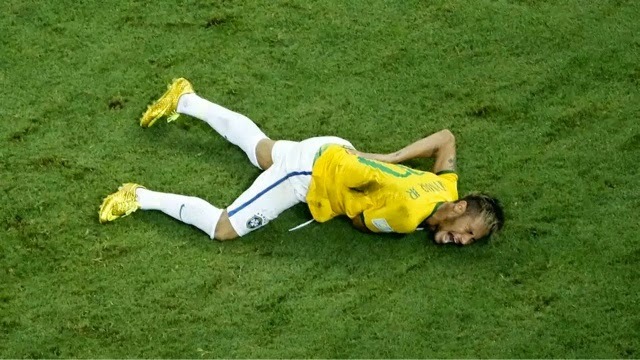 Lighting struck in the form of cruel reality for the Brazilian national team. For those of us that remember past World Cups this was a first. We watched in awe as wave after wave of German attacks undid the Seleçao. They never went out like this. Not Brazil. For the tournaments I witnessed they won two in 1994 and 2002. In 1986 they lost in penalties, in 1990 it was Maradona and Caniggia, in 1998 and 2006 it was the French, and in 2010 the turn was Holland's. Acceptable score lines. Even the 3-0 in the France 98 final versus the home nation was acceptable. Ronaldo was ill, it was a bad game, France had Zidane. Today's score was a reminder, perhaps, that today's game requires more than stars and glamour, more than mythical stadiums, more than the 12th man. There is a bottom-up approach in Germany when it comes to the sport where the talent is both nurtured and expanded upon. The Bundesliga is, in reality, built to outlast other leagues. For Brazil this is a chance to look in the mirror and ask why things went wrong, why they relied on just one player, why they thought that the crowds alone would win the games for them. It didn't do so in 1950. Today wasn't even the final. It was the step before the final, the point at which you show you belong on the stage. The Brazilian dream has shattered once more. The Pentacampeones will win again, for sure. But it will be decades before they can try to lift the trophy on home soil for the first time. We said goodbye to the Ticos via the penalty shootout versus the Netherlands yesterday. But their historic run, coupled with strong performances by USA and Mexico made one thing clear: this was Concacaf's tournament. True, no team from Concacaf has ever made it to the semifinals, but it's not for lack of trying or quality. Indeed, the world should no longer think of Mexico as the only quality side north of Colombia. Not when quality teams like Italy, England, Croatia and Portugal have gone home courtesy of North and Central Americans teams. Yesterday marked the fourth occasion that a team from Concacaf made it to the quarterfinals. 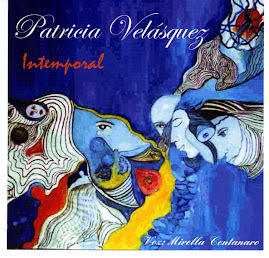 Before it was Mexico in 1970 and 1986 (both hosted in Mexico) and USA in 2002. However, the Ticos had the hardest road of all: they won the "Champions Group": Italy, England and Uruguay. They defeated, via penalties, the 2004 Euro Champions Greece. Further, they got scored on only twice! Concacaf also boasts the world's best goalkeepers: Ochoa, Navas and Tim Howard. In recent years there has been an increasing trend in Concacaf players transferring and succeeding in Europe: i.e. Javier Hernandez (Mexico), Clint Dempsey (USA) and Bryan Ruiz (Costa Rica). In doing so, these countries have advanced their knowledge of the game and this has trickled down to players in domestic leagues. Concacaf's exploits have surpassed Africa's. While quality sides remain in Nigeria, Algeria, Ghana and Ivory Coast, their tactics and defense have yet to fully exploit the incredible talent of attackers like Ayew (Ghana), Moses (Nigeria), or Gervinho (Ivory Coast). To date, the only non-UEFA or CONMEBOL team to qualify for a semifinal is South Korea (2002), when they co-hosted the World Cup with Japan. And, truthfully, were Mexico to host the World Cup, I would bet on them winning it all. They already have the talent. The same cannot be said for Team USA, not yet. But come 2026, if the tournament is hosted in America, we might have the talent to make a run for it. Neymar Jr has been ruled out of the tournament for the Brazilian national team after the quarterfinal game versus Colombia. An ill-timed challenge by Zuñiga left the Barcelona ace with a broken vertebra, medical reports showed. Can Brazil still fulfill it's promise to win the World Cup on home soil? One need only look to the past for inspiration. In the Chile World Cup 1962, twenty-one year old Pelé was injured during the second match against Czechoslovakia. This shocked the Brazilian squad and it seemed unlikely that they should win the tournament. But another player, Garrincha, stepped up to the plate and delivered sciniillating performances that elevated Brazil to a new sphere of accomplishment in world football and cemented the country's place as one of the perennial favorites to win it all. It wasn't only Garrincha that won the tournament for the Seleçao. With him was Botafogo teammate Didi and Palmeiras's striker Vava. Garrincha went on to be the player of the tournament, but it was interchanges with Didi and crucial goals scored by Vavá that made the difference for Brazil. There has been a lot of criticism for Luiz Felipe Scolari's side. One remark often heard from analysts is that Brazil has only one main star: Neymar. In doing so, we forget the talent of midfield aces like Oscar and Willian and the exploits of Hulk and Fred up top. Is this fair? In a way, Brazil will have to rely on these young players for inspiration and magic. They will need to show why Brazil is deemed to be the most fertile land for player development on the planet. Brazil must work as a unit and will have to concentrate on its defense as well if they are to defeat a very talented German team in the semifinal. Germany's defense works as a back four of center backs without true wingers. This is where Dani Alves and Marcelo will be key. And with Thiago Silva suspended, it will fall upon David Luiz and whoever Scolari's decides to replace Thiago Silva to control the spaces where Müller, Klose and Kroos like to operate. It is not an easy scenario for the Canarinha, but they will have the crowds behind them to push forward and win the title. They also have the weight of history behind them, not only as a nation but with inspiring performances of players that stepped up when superstars went down. Brazil will need a new Garrincha to win in 2014. Let's admit it. 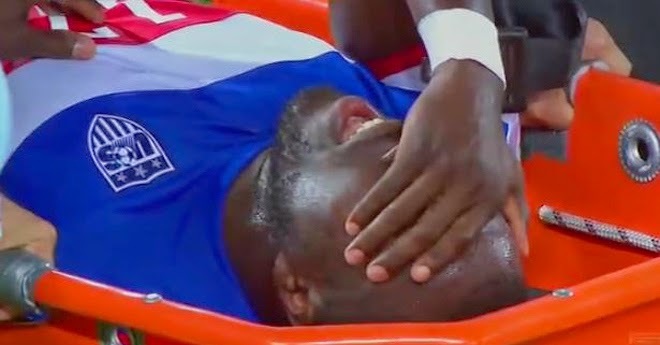 When we saw Jozy Altidore reach for his hamstring 21 minutes into the first half of the US-Ghana match we all knew it was over. Of course, we were wrong. Dempsey filled in for Jozy for the rest of the tournament and the young guns, Brooks, Yedlin and Green, rounded out an acceptable performance for the USMNT at the World Cup. You will recall that Bradley, usually a defensive midfielder, was pushed higher up the pitch against Nigeria in a World Cup tune-up. The team flowed, Altidore scored, we all believed. Take away Jozy and Bradley has no outlet. Dempsey isn't a target forward and he tends to retreat to find the ball. This puts Bradley in limbo and we lose our playmaker as he dissolves into defensive duties. Along with Michael Bradley losing the ball, and Dempsey's retreat to midfield, the ball is no longer in the opposing team's half. Altidore does more than score. He can hold the ball and defends higher up the field. Without an outlet down the middle for Bradley, Zusi and Bedoya are left to do all the work along the flanks. There, they found quality opposition and their weaknesses were exposed. You can argue that Yedlin+Johnson would have been a good combination. However, Johnson succumbed to yet another hamstring injury. Had Donovan been available, things may have been brighter on the flanks. Things became so cluttered at times in the midfield for the US that we gave up balls around the middle of the pitch. The two center mids format with Jones and Beckermann works only if Bradley is allowed to play offense. 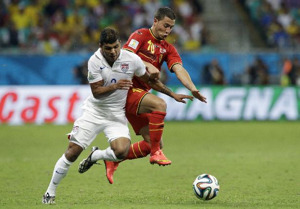 Without Jozy and a retreating Dempsey, the field of play is shortened. Note that major goals were allowed down the middle, especially Nani's and Belgium's first. Clint Dempsey is better as an advanced midfielder role, or, better put, a hovering number 11. He's better when he gets service that he can then bounce off of a fellow attacker, i.e. Altidore. Johannsson was largely missing versus Ghana, and Wondolowski was ineffective in his cameos. He's not particularly fast and isn't a prodigious passer either. He's a poacher and there weren't enough chances created. The truth is there was never a replacement for Altidore. And, despite his poor scoring form with club and country, his skills served a far greater purpose: possession and defense. Eddie Johnson and Terrence Boyd have similar attributes but neither have his experience, vision, and natural abilities. Juan Agudelo is another possibility here. We are now left to wonder what it might have been like with Jozy on the pitch in all those games. Tim Howard gave everything he had against Belgium tonight, but the team still lost in extra time and were denied a berth in the quarterfinals. The score of 2-1 in favor of the Belgians does not do justice to what happened on the pitch, however. In all honesty, the score should have been 5-1 or worse. Howard had a record-setting 16-save game against some of the most prolific players in Europe. Indeed, we are lucky to have him in goal. What went wrong? That's not he right question. Belgium was better than the US from the start. The possession was theirs, the chances were theirs, the style and ability were also theirs. Team USA played as a unit, as a never-give-up squadron of warriors. It's not enough at a World Cup. This is the reason why they have not gone past the round of 16. Except in 2002, but that was against Mexico and it really doesn't count in the grand scheme because they are a known foe. Was Landon Donovan missed? Yes and no. At times you could say that he might have succeeded in some plays or he might have injected extra pressure in others. But DeAndre Yedlin came up big with his speed and Julian Green showed us why he was called in by Klinsmann. We can claim that Wondolowski could have scored at the end of the match and won the game for us. True. But Belgians might say the same about the numerous chances they had thwarted by Howard. It's time to look forward now, to see what Costa Rica did right, which was to win the group and enter the knockout round in a position to play a weaker team. Had the US had to play Greece or Switzerland, then the chances to reach the quarterfinals may have been greater. The USMNT erased major specters in this tournament: we have no fear of Ghana, of mid-level European teams with marquee players (Portugal), and we had style when we wanted to play the game. There won't be Clint Dempsey next time, or Jermaine Jones or Kyle Beckermann. A new spine will need to develop. The American game is growing and MLS teams and US Soccer is getting more involved at a younger age with soccer-aspiring youths. Klinsmann also has a knack for recruiting youngsters with an American passport. Between now and the time Russia 2018 starts, don't be surprised if there are one or two more Julian Greens.